Two years after his first review, Stephen Shaw still believes that “the Home Office should demonstrate much greater energy in its consideration of alternatives to detention“. Last week, the Government responded to that challenge and announced its commitment to “pick up the pace of reform“. Sajid Javid committed to “explore alternatives to detention with faith groups, NGOs and within communities“, and announced a pilot project to support and care for vulnerable women in the community. This is welcome and overdue: already back in 2015, the parliamentary inquiry into immigration detention recommended that the UK develops and implements a wider range of community-based alternatives. The excessive cost and irreversible damage of detention has been well documented. An expansion of alternatives to detention has the ability to reduce both the number of people entering detention and the length of time that they are detained. Now is indeed the time for action. But the question remains: how? As the government moves forward, we believe it’s vital that it draws on the thinking and the existing learning in practice both in the UK and internationally. As Mary Bosworth identifies in her literature review as part of Shaw’s report, community-based alternatives with case management at their heart “seek to safeguard the dignity of the individual and involve them as agents in their own decision making”. “[W]ell-funded, and well-supported case-management programs offering legal advice, housing and access to social and health care have high levels of compliance with all stages of the immigration system”. Case management is an approach that has its roots in social work and is a vital component in working effectively towards case resolution in the community. Effective case management sees a case manager providing a link between the individual, the authorities and the community, while addressing any particular needs or vulnerabilities. The case manager should be independent of decision-makers and support migrants throughout the duration of their case. Detention Action’s Community Support Project was cited by Shaw as a positive example of an alternative to detention. Our project is designed for a very specific group of individuals – young men with previous convictions, who have barriers to removal and have experienced or are at risk of long-term detention. It adopts a careful screening and assessment process to ensure that it is able to properly support those on the project. It is built on a model of structured case management, with trust at the heart of the relationship between the coordinator and participants. There has been rate of compliance with conditions of at least 90%. Two participants (out of 26) have been reconvicted of minor offences, leading to non-custodial sentences. 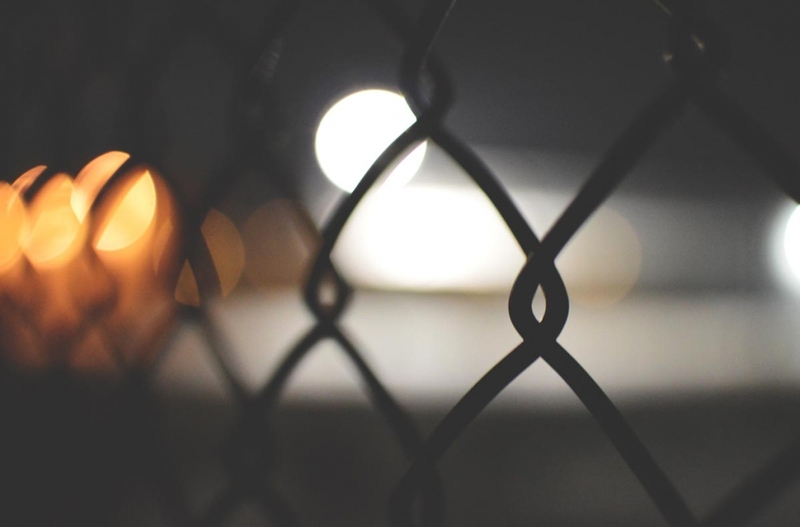 Our project shows that individuals who are deemed by the Home Office to be least suitable for release from detention can live in the community if adequate support is available. The origin of our Community Support Project was not only to trial a community-based alternative to detention project, but also to be part of our campaign for radical reform. We met so many men in detention who had been detained for years with no prospect of removal yet were not released into the community because the Home Office argued they were at risk of absconding or reoffending. We wanted to show that indefinite detention is unnecessary and wrong. When we spoke to the Shaw Review team, we had one thing in mind – how do we ensure that the learning from our pilot will benefit others and contribute to our overall strategy for detention reform and detention reduction? Compared to when we started the pilot in 2014, the pilot announced by the Home Secretary is in a far better position to learn from others. Our own Community Support Project is one source of practical experience that adds to other international evidence. We used our own experience to conduct an analysis of opportunities for alternatives to detention, captured in our report Without Detention. 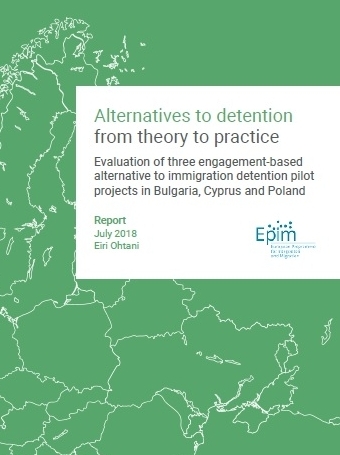 There is also emerging evidence from the European Alternatives to Detention Network, which involves pilot projects in Bulgaria, Cyprus and Poland, as well as our own project in the UK. What’s clear from our experience is that while evidence from existing or past pilots offer valuable insight into what works, there can be no one size fits all approach. Just last month, I met with colleagues from the four European pilots to share learning as we each grapple with how best to implement effective case management in our own very different national contexts. For any alternatives project to be effective in practice, it must be carefully developed around the particular needs of the migrants who will participate. The learning from other projects must then be adapted to the specific project and context in which it is operating and explored and expanded further as new pilots are embedded. Embracing alternatives would be a new direction for the government. The Shaw Review and new pilot project are important steps, and there will be much to learn along the way. The monitoring and evaluation of the pilot must be able to capture and build on this learning as the project develops. The Shaw review rightly recognises the importance of research and evaluation in thinking about alternatives. It also notes that the perspective of migrants themselves is “almost entirely missing”. Success of any project will depend on government seeking the views not only of NGOs and practitioners, but also of migrants and the communities in which they live. As Bosworth observes, “the UK government has the opportunity to build a new system of border control, based on best practice from around the world”. The Home Secretary has announced his goal to ensure that the government’s immigration system “is fair and is humane”. To achieve this, it is vital that the government moves towards a system based on engagement rather than enforcement. Alternatives to detention have a key role to play, but they must be part of a broader re-think of government strategy. An expansion of alternatives must go hand-in-hand with a radical reduction in the number of people in detention and the length of time they are detained. The response to Shaw was encouraging, but there is a lot of work to be done. First published: 31 July 2018 on Detention Action’s website.